This year’s Craft Pods’ featured artist is bookbinder & designer Derek Hood. Originally from St Andrews, Derek now runs his own fine bookbinding business in Bath specialising in all aspects of the craft. He began as an apprentice at St Andrews University Library’s bindery, but a visit to a designer bookbinding exhibition (‘Cover Story‘) at the nearby Crawford Arts Centre, made him decide to follow that career path instead. 26 years’ later, Fife Contemporary (formerly the Crawford Arts Centre) has invited Derek to exhibit in the Craft Pods – a nice, full circle! Music has always been a major part of Derek’s life – he played in various professional bands recording and touring for about 10 years. It continues to be very important in his life and his love of percussion is expressed in the movement and colours present in his work. In 1999 Derek returned to bookbinding, working as a binder/designer for Sangorski & Sutcliffe in London and Bayntun Rivière in Bath, before setting up his own business in 2010. He is a Fellow of Designer Bookbinders and frequently teaches and lectures on their behalf. He has also bound one of the shortlisted books for the Man Booker Prize 4 times. 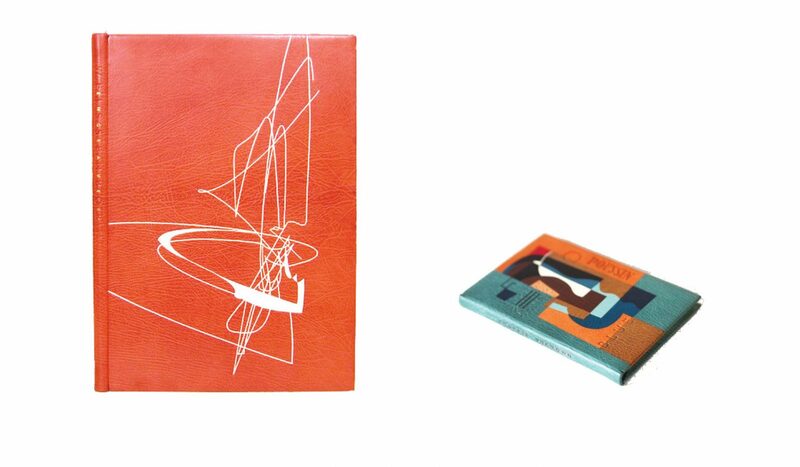 His award winning bookbindings have been featured in Design Week, The Telegraph magazine, The Times and The Spectator. He has exhibited in the V&A Museum, The House of Lords, The British Library and the Grolier Club in New York. His books are held in public and private collections throughout the world. For the pods, Derek has selected 2 interesting bindings – Weissenborn Prints and ‘Address Unknown’ by Kathrine Kressmann Taylor. Visit them on tour and find out more! Tour dates will follow here shortly.